Ben is an experienced junior specialising in Public, EU and Competition Law. At the end of 2017, Ben was appointed as Standing Counsel to the Competition and Markets Authority. He is also a member of the Attorney General’s A Panel. Ben is recommended in both Chambers UK and the Legal 500 as a leading junior in the fields of Competition Law, Telecommunications and Data Protection, and in Legal 500 as a leading junior in the fields of Public Law and EU law. He is a contributor to the leading EU Competition Law text, Bellamy & Child European Union Law of Competition, and is direct access qualified. Ben appears regularly in the Court of Appeal, the High Court, the Competition Appeal Tribunal and the EU Court of Justice. He is a clear and persuasive advocate, and is equally effective working on his own or as part of a team in larger cases. Ben is highly valued by clients and instructing solicitors for his attention to detail, judgement, and ability to identify the key issues at the heart of any dispute. In 2016, Ben was appointed to the Attorney General’s A Panel, having spent four years on the B Panel. He has a broad Public Law practice, with particular expertise in EU law, human rights, discrimination and immigration. Ben is recommended in the Legal 500 as a leading junior in Administrative and Public Law, and appears regularly in the Court of Appeal, the High Court and the EU Court of Justice. Ben has acted for the Government in a number of leading public law cases, including MB v Secretary of State for Work and Pensions  UKSC 53 and Secretary of State for the Home Department v Franco Vomero  UKSC 49 in the Supreme Court. R (Turley) v Wandsworth LBC  EWCA Civ 189;  H.L.R. 21;  2 P. & C.R. DG9: human rights challenge to social housing legislation under Article 14 of the ECHR. Ahmed v Secretary of State for the Home Department  EWCA Civ 99;  1 WLR 3977;  2 CMLR 27: EU law challenge to domestic legislation on the rights of non-EU nationals to reside in the UK following divorce. Khan v Secretary of State for the Home Department  EWCA Civ 1755: Court of Appeal case concerning the jurisdiction of the First-Tier Tribunal in EEA family member appeals. Secretary of State for Work and Pensions v HY  UKUT 303 (AAC): compatibility with EU law of domestic legislation on gender reassignment. NA (Libya) v Secretary of State for the Home Department  EWCA Civ 143: errors of law in the context of country guidance cases. Secretary of State for the Home Department v Franco Vomero  UKSC 49,  EWCA Civ 1199,  1 WLR 3339: Supreme Court appeal concerning the deportation of foreign criminals under the EU Citizenship Directive. MB v Secretary of State for Work and Pensions  UKSC 53,  EWCA Civ 1112,  ICR 1129: leading case on the compatibility with EU law of domestic legislation on gender reassignment. Case C-218/14 Singh v Minister of Justice and Equality  QB 208: represented the UK Government in a successful intervention before the EU Court of Justice concerning the rights of third country nationals to reside in the EU. R (Benjamin) v Secretary of State for the Home Department  EWHC 1626: Francovich damages claim against the Home Office concerning its implementation of the EU Citizenship Directive. R (Jewish Human Rights Watch) v Leicester City Council  EWHC 1512: judicial review challenge to Council’s motion to boycott goods from the occupied territories. R (SB (Jamaica)) v Secretary of State for the Home Department  EWCA Civ 400: Court of Appeal challenge concerning the Government’s immigration policy on recourse to welfare support. R (Tomescu) v Lord President of the Council  EWHC 3293,  1 CMLR 39: EU law challenge to the UK’s rules on the entitlement to vote and stand in parliamentary elections. Case C-115/15 Secretary of State for the Home Department v NA (judgment of 30 June 2016): represented the UK in a reference to the EU Court of Justice concerning the rights of third country national divorcees to reside in the EU. Entry Clearance Officer v SM (Algeria)  EWCA Civ 1109,  1 CMLR 45: Court of Appeal case concerning the EU Citizenship Directive and domestic rules governing the recognition of inter-country adoptions. GM (Poland) v Secretary of State for the Home Department (judgment of 10 December 2015): Court of Appeal case concerning the Government’s policy on the deportation of foreign criminals. R (Khatib) v Secretary of State for Justice  EWHC 606: judicial review challenge to Secretary of State’s decision to maintain the high escape risk classification of a convicted terrorist. R (Mahoney and Others) v Secretary of State for Communities and Local Government  EWHC 589;  RVR 237: judicial review challenge concerning the impact of Crossrail on the gypsy community. R (Buer) v Secretary of State for the Home Department  EWCA Civ 1109:  1 CMLR 3: Court of Appeal case concerning the rights of Turkish citizens under the EEC-Turkey Association Agreement. R (NS) v Secretary of State for the Home Department  EWHC 1971,  Imm AR 1153: first decided case concerning the Government’s policy restricting migrant access to state benefits. R (Shoesmith) v Oftsed and Ors  EWCA Civ 642,  ICR 1195: claim by the former Director for Children’s Services in Haringey concerning the fairness of the procedures adopted by Ofsted and the Secretary of State. R (Cambridge Associates) v Ofsted  EWHC 1157: claim concerning the ambit of an expert regulator’s discretion and the impact of regulatory action on an education provider’s rights under Article 1, Protocol 1 of the ECHR. R (Kiana) v Secretary of State for the Home Department  EWCA Civ 671,  1 WLR 765: claim concerning welfare support and Article 8 ECHR. Leading case on the provision of welfare support under s.4 of the Immigration and Asylum Act 1999. Ben is Standing Counsel to the Competition and Markets Authority. He has extensive experience in competition and regulatory matters, with a particular focus on telecommunications, broadcasting and environmental compliance. He acts for both private and public bodies, and has appeared in a number of major cases in the Competition Appeal Tribunal, High Court and Court of Appeal. Ben is recommended in Chambers UK and Legal 500 as a leading junior in the fields of Competition Law and Telecommunications Law, and is a contributor to the leading EU Competition Law text, Bellamy & Child European Union Law of Competition. He has acted in a number of the major competition cases of the last few years, including Streetmap v Google  EWHC 253 (Ch) in which he represented Google in its successful defence to an abuse of dominance claim brought by the online map provider, Streetmap. Ben is currently acting for British Airways in a follow-on damages claim against MasterCard arising out of the European Commission’s 2007 decision on payment card interchange fees. He is also acting for the European Commission in an ongoing appeal against its decision on the Euro Interest Rate Derivative cartel. Ping Europe v Competition and Markets Authority: acting for the CMA in an appeal against its decision on internet sales bans. British Airways Plc v MasterCard Incorporated (Case No. 1269/5/7/16): acting for British Airways in follow-on damages claim relating to anti-competitive payment card fees. HSBC v European Commission (T-105/17): acting for the European Commission in an appeal against its decision on the Euro Interest Rate Derivatives cartel. Streetmap v Google  EWHC 253 (Ch): acted for Google in major abuse of dominance claim concerning Google’s search engine and online maps. British Telecommunications Plc v Ofcom  CAT 6: acted for TalkTalk in an appeal before the Competition Appeal Tribunal concerning charges for calls to 08 numbers. BSkyB and Ors v Ofcom  EWCA Civ 133: acted for Ofcom in an appeal against its decision to impose a wholesale must offer obligation on TV broadcaster. Remitted to the Competition Appeal Tribunal following appeal to the Court of Appeal. R (Project Management Institute ) v Minister for the Cabinet Office  EWHC 2438: judicial review challenge concerning the grant of Royal Charter status. Ticket Generator v Greater Anglia: standalone competition law claim concerning the market for the resale of Stansted Express tickets. JML Direct Ltd v Freesat  EWCA Civ 34: claim concerning the allocation of Electronic Programme Guide (EPG) numbers by a digital satellite television platform. Ofcom and Ors v Floe Telecom Ltd  EWCA Civ 47: appeal concerning the interpretation of telecoms licences and the scope of the EU law “Marleasing” principle of harmonious construction. CMA investigation into resale price maintenance. Compatibility of franchise agreements with competition law. Application of competition law to business-to-business online marketplaces. Merger control in the travel industry. Action by PhonepayPlus, the enforcement authority for premium rate services. CMA investigation of the “payday lending” market. Commercial dispute between telecommunications providers. 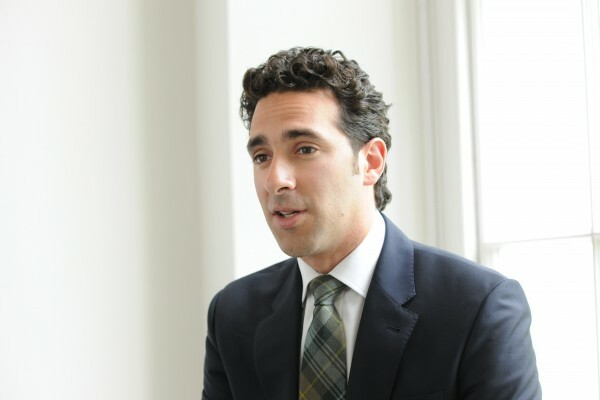 Ben is an expert on EU law, acting for a range of public and private clients. He has appeared in a number of leading EU law cases in the UK, including claims for Francovich damages, and various cases in the national courts concerning the interpretation and application of EU legislation. He is instructed regularly by the Government to represent the UK before the EU Court of Justice. Given his experience in EU law, Ben is perfectly placed to advise on issues arising from the 2016 EU referendum and the UK’s plans to leave the EU. Secretary of State for Work and Pensions v HY (RP)  UKUT 303 (AAC): EU law challenge to domestic legislation governing the recognition of gender reassignment. Ahmed v Secretary of State for the Home Department  EWCA Civ 99: EU law challenge to domestic legislation on the rights of non-EU nationals to reside in the UK following divorce. SM (Algeria) v Entry Clearance Officer  EWCA Civ 1109: Court of Appeal case concerning the EU Citizenship Directive and domestic rules governing the recognition of inter-country adoptions. R (Tomescu) v Office of the Prime Minister  EWHC 3293: EU law challenge to the UK’s rules on the entitlement to vote and stand in parliamentary elections and the EU referendum. Speciality Produce Limited v DEFRA: Francovich damages claim arising from the UK’s implementation of the EU Common Agricultural Policy. R (Buer) v Secretary of State for the Home Department  EWCA Civ 1109;  1 CMLR 3: acted for Secretary of State in Court of Appeal case concerning the rights of Turkish citizens under the EEC-Turkey Association Agreement. R (Project Management Institute) v Minister for the Cabinet Office  EWHC 2438: judicial review challenge concerning the grant of Royal Charter status and its compatibility with the Treaty on European Union. Defra v Information Commissioner and Badger Trust  UKUT 0526: Upper Tribunal challenge concerning the scope and application of Directive 2003/4/EC on public access to environmental information. DWP v Information Commissioner (EA/2013/0040): appeal concerning the scope of the concept of personal data in EU Directive 95/46/EC on data protection. Case T-105/17: HSBC v European Commission: acting for the European Commission in an appeal against its decision on the Euro Interest Rate Derivatives cartel. Case C-218/14 Singh v Minister of Justice and Equality  QB 208: preliminary reference concerning the rights of third country nationals to reside in the EU. Judgment of the Grand Chamber. Case C-115/15 Secretary of State for the Home Department v NA (Pakistan):  Q.B. 109;  3 W.L.R. 1439;  1 C.M.L.R. 12;  Imm. A.R. 34: preliminary reference from the Court of Appeal concerning the residence rights of non-EU national victims of domestic violence. Case C-184/16 Petrea (Judgment of 14 September 2017): preliminary reference concerning a Member State’s power to remove an EU citizen who has re-entered its territory despite being subject to an exclusion order. Case C-518/15 Matzak v Town of Nivelles: preliminary reference concerning the application of the Working Time Directive to ‘on call’ emergency workers. Case C-353/16 MP (Sri Lanka): preliminary reference from the Supreme Court concerning the scope of subsidiary protection under the Qualification Directive. Case C-193/16 Vannucci: preliminary reference concerning ta Member State’s power to deport an EU citizen who has committed serious criminal offences. Case T-433/10 P Allen and Ors v European Commission; Case T-45/01 Sanders and Ors v European Commission: direct action discrimination claims brought against the European Commission by contractors working at the EU’s JET nuclear fusion project. Ben is highly sought after in the fields of Data Protection and Freedom of Information. He is recommended as a leading junior in Data Protection in Chambers UK and Legal 500, and appears regularly in the First-tier and Upper Tribunals, acting on behalf of private clients, public authorities and the Information Commissioner. The public authorities for which Ben has acted include the Department for Communities and Local Government, Defra, DWP, the CPS and the Environment Agency. Ben’s expertise covers Data Protection, Freedom of Information and Environmental Information. DWP v Information Commissioner (EA/2013/0040): appeal concerning the scope of the concept of personal data in EU Directive 95/46/EC on data protection and the Data Protection Act 1998. Birkett v Information Commissioner and Defra  EWCA Civ 1606: leading case on the entitlement of public authorities to rely on late exemptions under the Freedom of Information Act 2000. Williams v Information Commissioner and Environment Agency (EA/2012/0172): appeal concerning information gathered by the EA during an investigation into possible criminal offences committed by an NHS Trust through its waste management operations. Stephens v Information Commissioner and CPS (EA/2012/0075): appeal by a serving prisoner against the Information Commissioner’s decision that the CPS was entitled to withhold information concerning the prisoner’s prosecution. Robinson v Information Commissioner (EA/2013/0157): appeal concerning the disclosure of information held by the CPS relating to a high profile unsuccessful prosecution. Ben has acted both for and against a number of sporting bodies, including the Football Association (FA), the Rugby Football Union (RFU) and the World Professional Billiards and Snooker Association (WBPSA). Ben holds a Post Graduate Diploma in Sports Law from King’s College London, for which he obtained a distinction. He was recently interviewed for BBC Five Live’s Morning Report on whether the Freedom of Information Act 2000 should be extended to cover sports governing bodies such as the Football Association. Newell v Luton Town Football Club 2020 Ltd: represented Luton Town FC in a case before the Football Disciplinary Commission concerning the Football League Articles of Association. Football Association v Luton Town Football Club and Ors: represented an employee of Luton Town FC in three related disciplinary cases before the Football Association’s Disciplinary Commission. Proceedings concerned contraventions of the FA rules relating to irregular payments. World Professional Billiards and Snooker Association v Everton: civil proceedings arising from a disciplinary case against former member and BBC commentator Clive Everton. Ben read law with history at Sussex University where he obtained a first class honours degree. After graduating, Ben joined the Civil Service Fast Stream where he worked in the Lord Chancellor’s Department (now the Ministry of Justice) between 1998 and 2003, spending the last three years as Private Secretary to the Lord Chancellor, Lord Irvine of Lairg. Ben holds a Post Graduate Diploma in Sports Law from King’s College London, for which he obtained a distinction in 2000. In 2003, he was awarded the Everard Ver Heyden Foundation Prize by the Inns of Court School of Law and the Middle Temple Sachs Prize for his performance in his bar exams.